Worth ordering from RedWolf to Scotland? 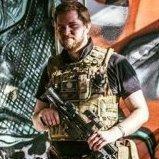 I was just wondering if any of you have ordered anything from RedWolf Airsoft. If so, what was the service like, were there any extra customs taxes to pay, how long did you wait for the delivery, was there any trouble with customs etc. etc. I have been toying with the idea of ordering from RedWolf and I have asked a fair few players at my local site if it's worth it and none of the players I asked had ever ordered from them. If any of you guys in the forums have and have any experiences, warnings or praise to share please do so as all replies are appreciated. Is their UK office still on the same website or is it a separate one? They're good if they actually have the thing you want in stock. If you want them to get something in for you from the HK shop then you might as well give up and get it from somewhere else.